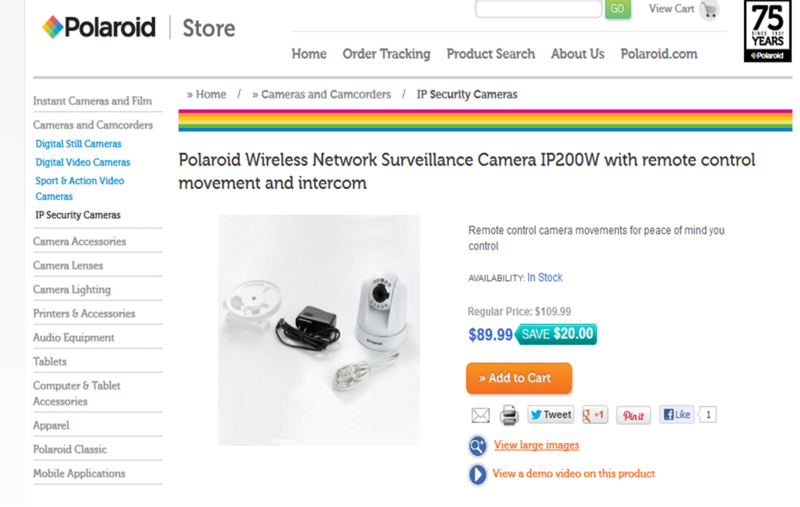 Polaroid enters the video surveillance industry?! Polaroid went bankrupt in late 2001 as digital imaging destroyed its profitable revenues from instant film photography. In 1997, the stock was traded around 60 dollars, four years later it was frozen at 28 cents. it will enter the commercial security market, something that at first appears to be an odd move. Looking at the current structure of the video surveillance industry this event makes more sense. Video surveillance is undergoing a technological discontinuity where analog CCTV is increasingly replaced by digital, internet-based cameras. Such transitions usually create a temporary spike in firm entry as new companies with different competencies see abundant opportunities. Moreover, most of the components required for manufacturing a surveillance camera are readily available on the market, implying that entry barriers are rather low. And besides, in what other imaging application would Polaroid re-emerge? The regular camera business is fiercely competitive and demands huge economies of scale. Whether the company will be successful or not remains to be seen. At present, its entry into video surveillance can be regarded as an indication of the hype and Klondike behavior that currently characterizes the security industry. Sooner or later, this must come to an end and the industry will become more consolidated.